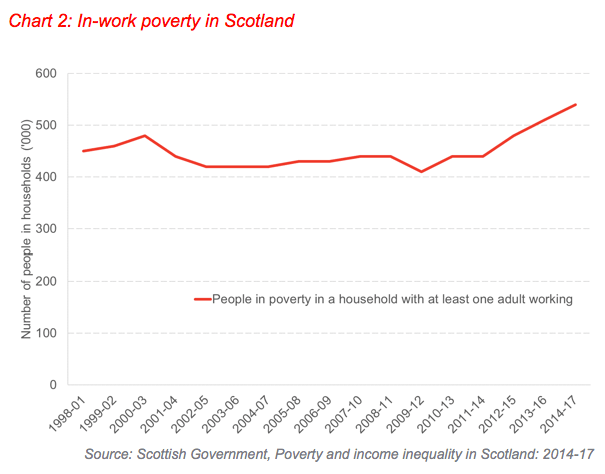 Similar to poverty indicators, there seems to be little long-term movement in levels of income inequality in Scotland. 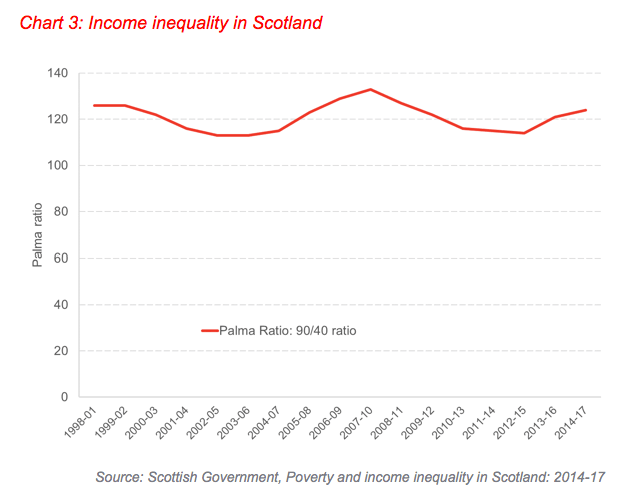 The so-called “Palma ratio” or “90/40 ratio” aims to measure the extent of inequality between those in the richest 10% of the income distribution with those in the lowest 40% of the income distribution. It divides the total income of the top 10% of earners by the total income of the bottom 40%. 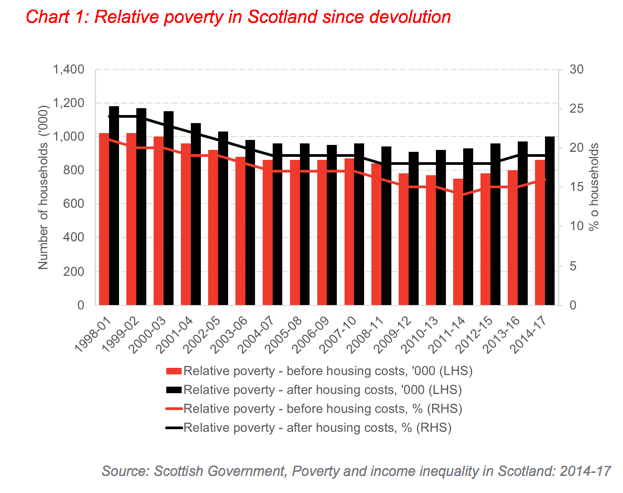 It’s important to note that rising poverty and income inequality are not just limited to Scotland. 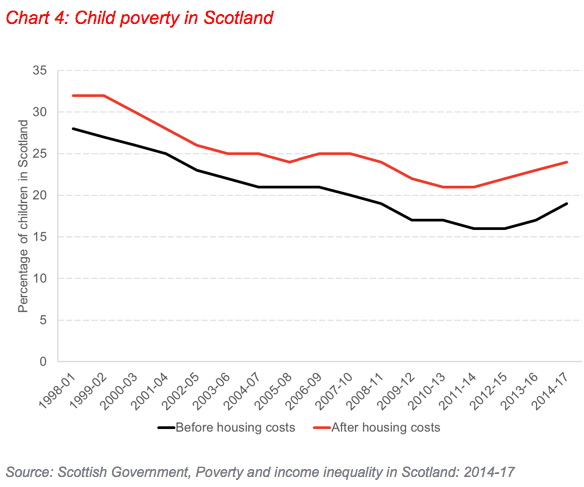 Indeed, rates of poverty, including child poverty, in Scotland are lower than in the UK as a whole (particularly when housing costs are included). Ultimately, many of the policy levers to tackle poverty are UK-wide. 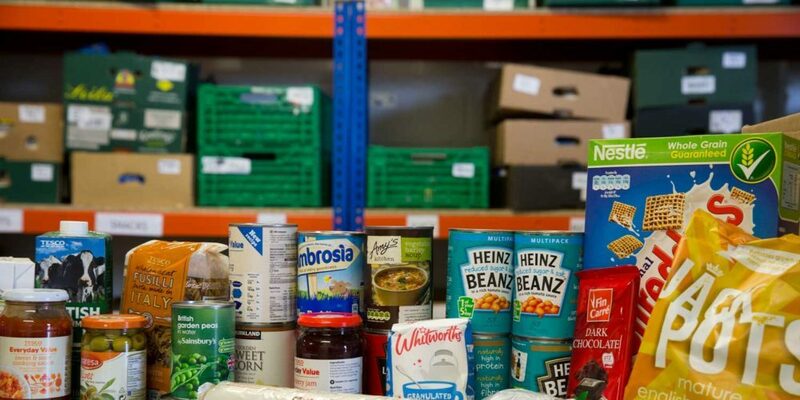 The rise in poverty can be traced back, in part, to some of the changes to the welfare system introduced over the past decade, including Universal Credit and the freeze in many working age benefits. So, where might the policy debate focus? The new data is likely to show that ‘more of the same’ is simply not going to cut it.